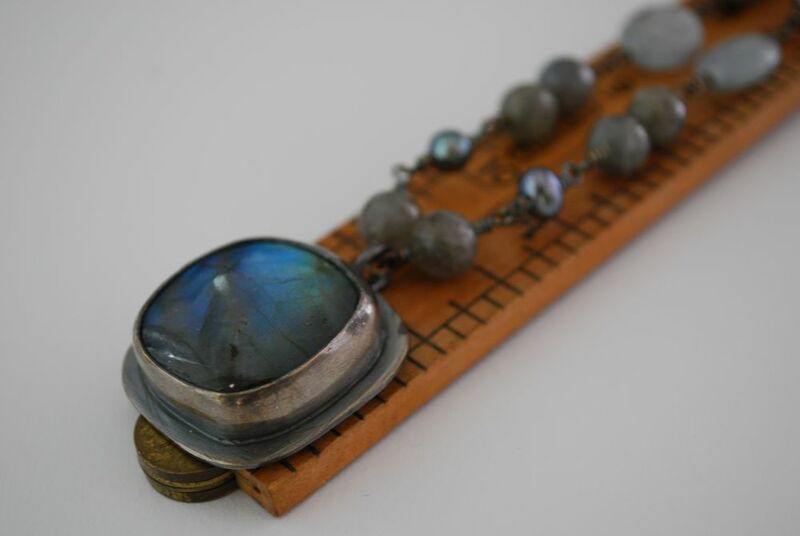 Each week the Etsymetal team plays along with the Project Runway show. A challenge is given that coordinates with the previous weeks show. The piece is due by Thursday when the next episode airs. For our EtsyMetal Translation: Make a piece of jewelry for Nina. There was a scene where she was going through jewelry at Marie Claire. Also she notes that she likes streamlined, modern looks. Whatever you do, don't bore Nina! 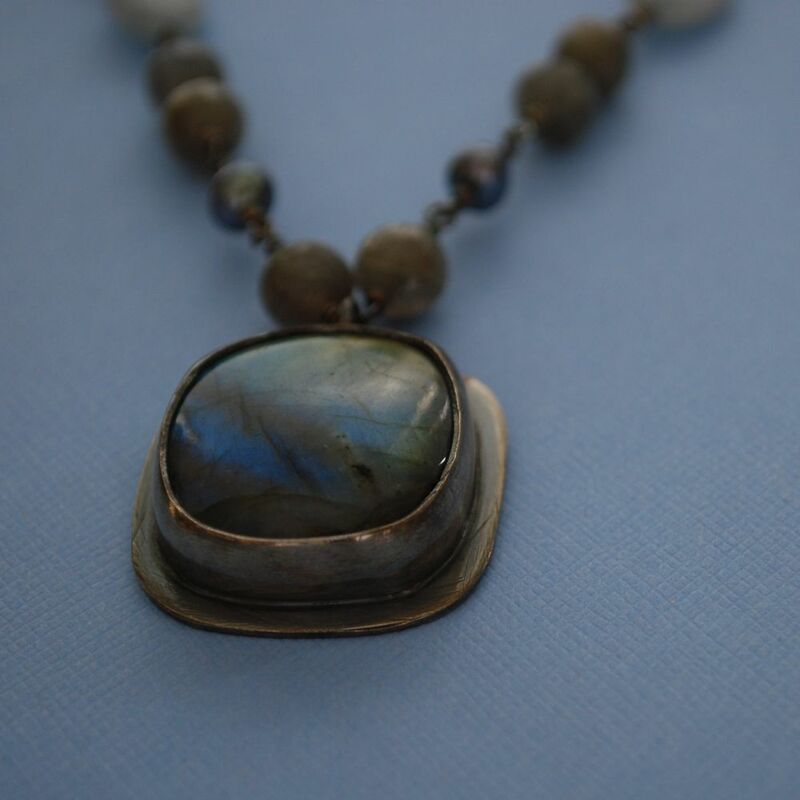 For my piece I wanted to create a simple modern piece with this beautiful Labradorite stone that could be worn day to night also. I wanted it to be an elegant piece that could be worn with different outfits and worn two different ways. 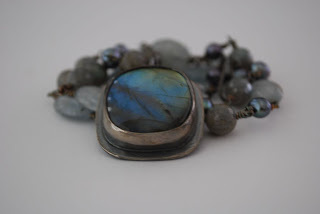 I think my labradorite necklace could be worn during the day with a pretty white shirt or dressed up at night with a simple black dress. 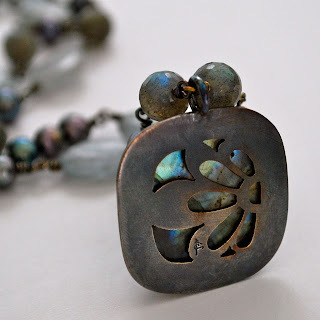 I created the simple and modern floral design on the back of the necklace to show the beautiful Labradorite colors. 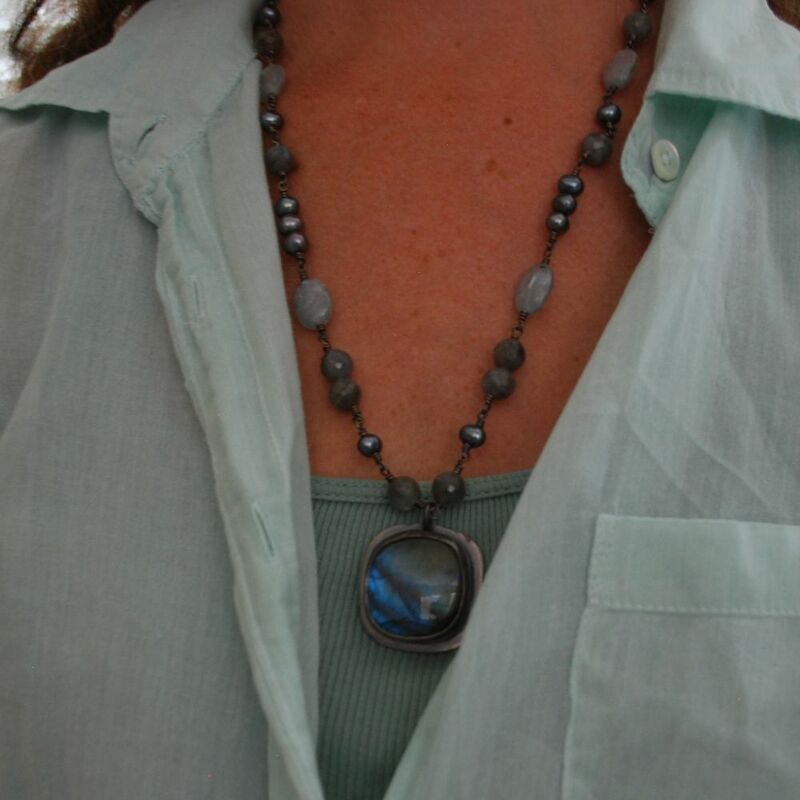 The necklace has faceted Labradorite, Fresh Water Pearls and Kyanite to compliment the colors of the Labradorite. The pendent is entirely handmade and one of a kind using sterling silver and fine silver. I hope Nina would like my necklace. I will list it this weekend in my shop.